Come to the hackerspace and see it for yourself! We're always happy to give tours. Build. Hack. Tinker. Play. Socialize. 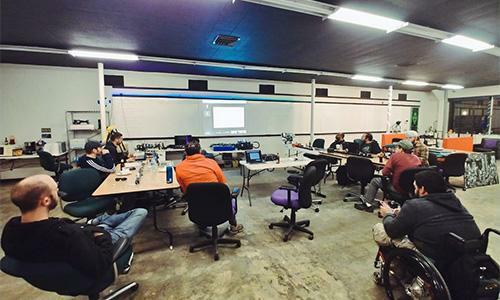 Our workspace is the main area of the hackerspace, and operates on a first come, first served basis for our members. We have plenty of tables, chairs, whiteboards, and a coffee maker, so grab a seat and do your thing! We've got the tools, you've got the talent. 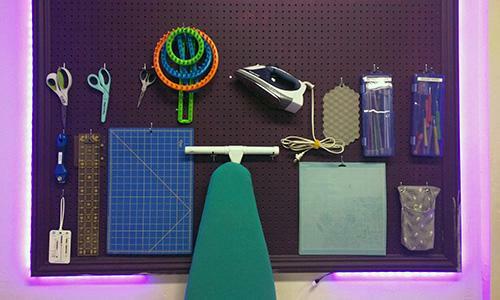 Whether you're building a robot or making an LED blink for the first time, we've got what you need. 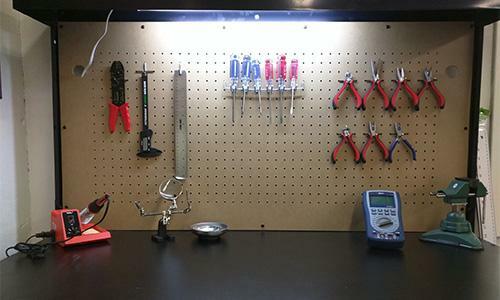 Soldering irons, multimiters, oscilloscopes, power supplies, and tons of hand tools — you'll have everything you need to work on your electronics project. It's useful! It's fun! It's 3D printing! Whether you need prototype a broken part, want mini's for your tabletop games, or need to make art, we've got you covered. 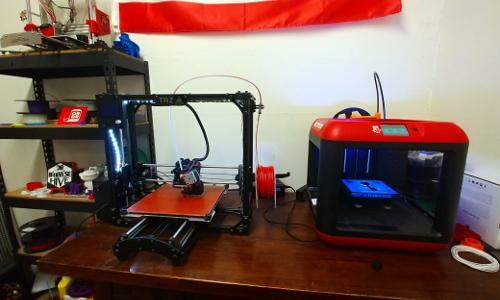 Two 3D printers are currently available at the space, a FlashForge Finder, and a LulzBot TAZ 5. More than coding and electronics, Root Access is fully stocked for your knitting, crocheting, sewing, embroidery, paper craft, and jewelry making projects. When combined with all the other tools and tech at the hackerspace, we're a great place to work on cosplay and wearable tech projects! What wood you do with a wood shop? 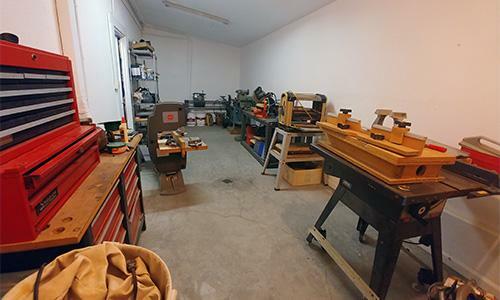 A fully decked-out wood shop: table saw, drill press, lathe, band saw, planer, jointer, and scroll saw. Our wood shop is a great place for small-to-medium woodworking projects. It’s also home to our laser-cutter; a great tool for engraving projects or cutting thin wood into intricate pieces.